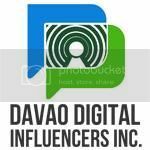 Almost everywhere I go to downtown Davao, there are grocery stores, kiosks, restaurants and bars serving Korean products/food. I already have a post all about Korean products/food like Manna, Arirang and Jipangyi. 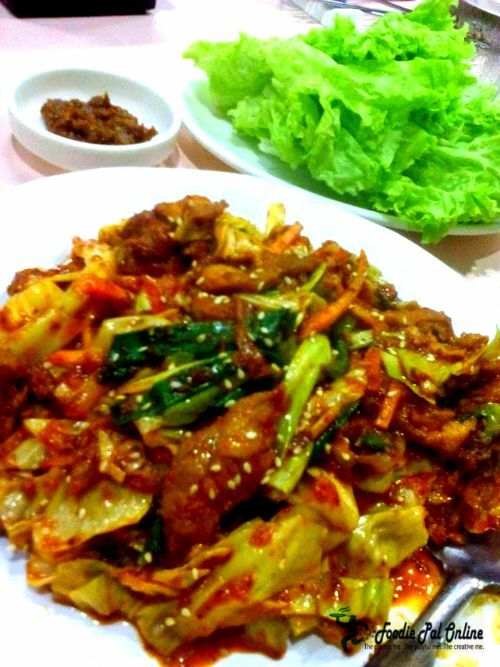 Honestly, I love Korean food aside from Chinese food.,the likes of Korean ice cream, kimchi, grilled marinated beef, etc. 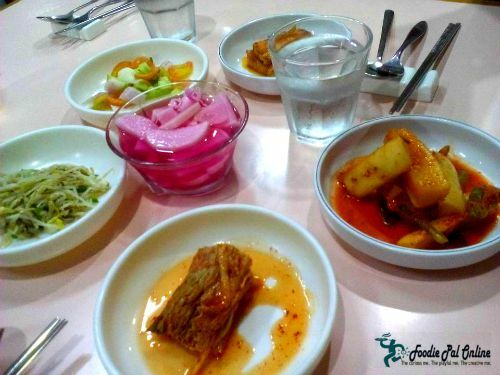 Recently, I have a good time meeting up with my friends and decided to have our dinner here, and foodies should definitely try visit this place, the "KOREAN TOWN RESTAURANT". 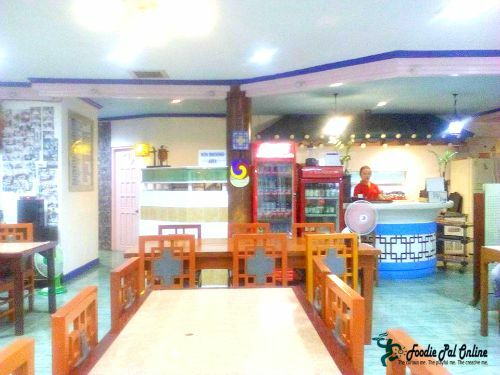 An authentic Korean restaurants that serves more than just unlimited Korean delicacies but also a nice place to unwind and relax. A superb place to hang out if you want something quiet and spotless. If your asking if they served Korean food same as their authentic Korean counterparts, I will surely answered, "This is more delicious, as I tasted". First, they serve us with "BANCHAN"(side dishes). 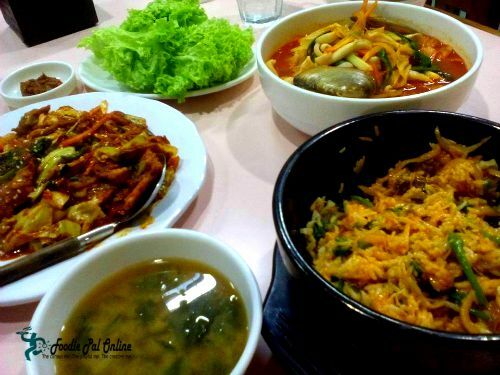 A traditional Korean meals noted for the numbers of side dishes serve in a table. Banchan serve to us compose of a cabbage & radish kimchi, togue(bean sprout), yellow pickled radish. And because we are super hungry that night, we had to order the regular meal. 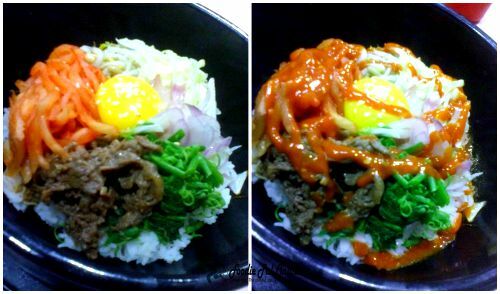 The BIBIMBAP experience was very adventurous, we need to put spicy sauce on top and mix it together, we also got JEYUKBOKKEUM which I am super in love eating with because I need to partner it with the PAK CHOI or BOK CHOY(pechay) and top with the spicy bean-curd paste. 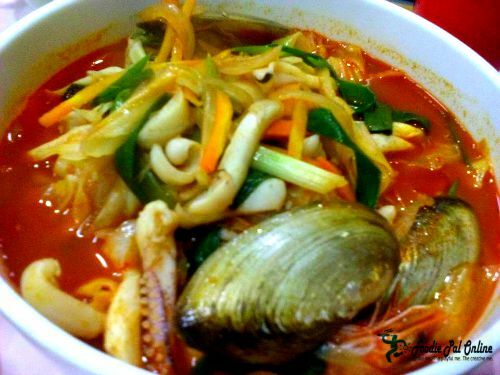 And as I was going to our regular soup-base stuff, the JJAMPPONG. The soup came in super steaming hot and with it you can smell the tempting aroma that we had to taste it while it still hot! It was YUMMY, Sizzling Hot, and spicy. We ordered spicy food --- I've cried while eating because of the spice, but loved every second of it. The runny nose effect of the spicy foods can make you feel a little better. So yummy-hot delicious! I will surely go back together with my family. They really have a huge serving, that is good for the whole family. 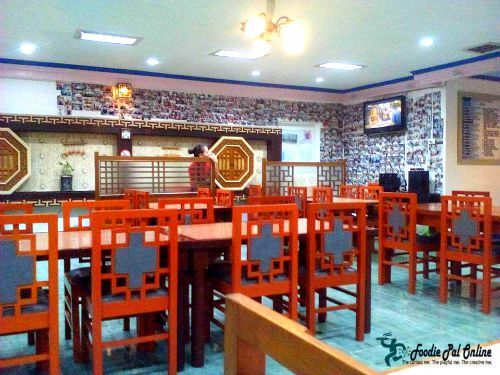 Another thing that really caught my attention is the ambiance of the place, so clean, relaxing and spacious. The serving is quick and superb. 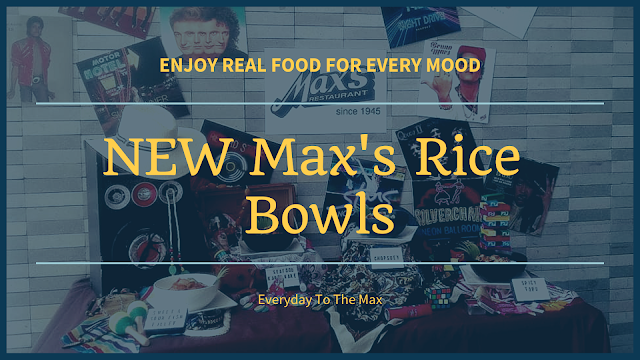 The staff as well as the owners are very friendly, even though it was already nearing closing time they still serve us with a smile and politeness. We had a fulfilling and satisfying dinner that night. 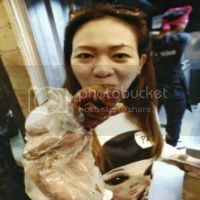 Food are great and have a reasonable price. It was a happy end to a very stressful day. 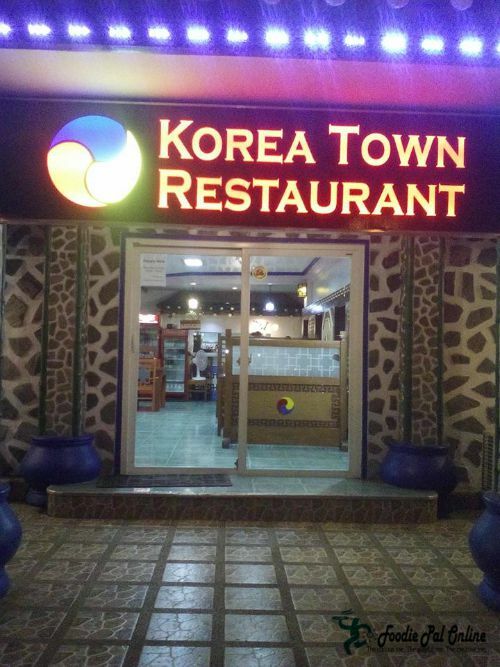 Korea Town Restaurant is located at the Victoria Plaza Compound JP Laurel Ave. Bajada, Davao City besides AHFAT 3.